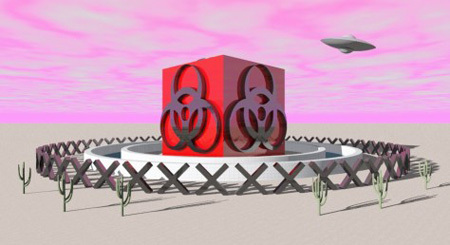 The latest peripheral from Subtopia points us to this recent article in The New York Times about atomic tourism in the American Southwest. 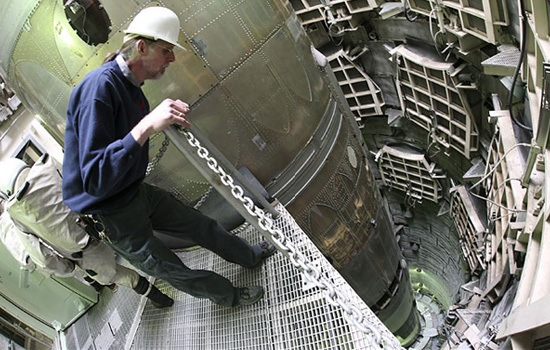 At the Titan Missile Museum, we learn, visitors can “stare up at a 103-foot-tall intercontinental ballistic missile from the bottom of a hardened silo buried in the Arizona desert;” see how the crew rested (or experienced countless anxiety attacks) in spartan conditions; feel the thick, cold steel of the blast doors; and even jiggle around with the switches on the firing console. 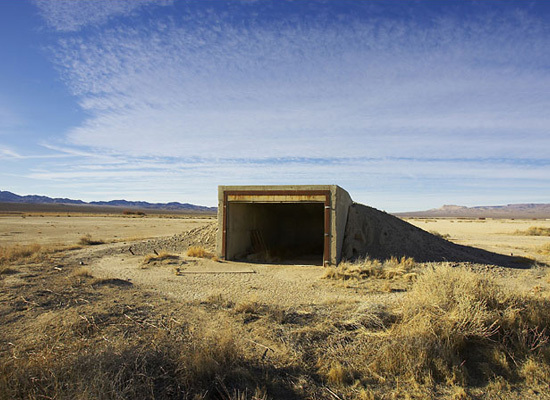 Meanwhile, at the Nevada Test Site, you get to see the actual effects of Armageddon. Surprisingly, the bus tour [updated link] is free. 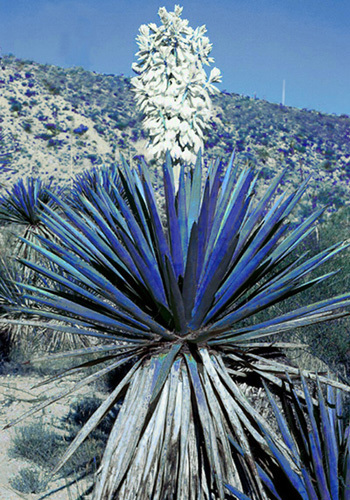 For some reason, we are reminded of a design competition, held many years ago, for a permanent warning sign for Yucca Mountain, the nation's first long-term geologic repository for spent nuclear fuel and high-level radioactive waste. 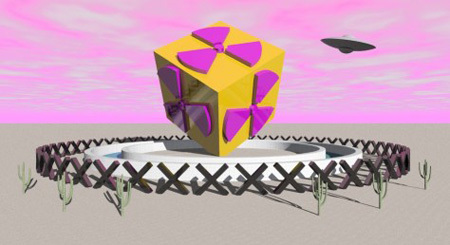 Scott A. Ogburn and Linda Buzby designed these nuclear waste mausoleums. None of which, of course, will ever prevent anyone from visiting the site — even if our descendants still understood English, and the universal radioactive danger sign remains iconographically legible 10,000 years from now. Build a field of menacing concrete spikes, and it becomes a popular destination. CLUI will send busloads of tourists. What should be done in the intervening thousands of year is to develop an anti-radiation pill or the fast-acting anti-tumor pill, so that with these miraculous medical breakthroughs, future travelers will go on so-called radiation tours. As you walk through the excavated labyrinth of Yucca Mountain during these tours, you become listless, nauseous. Going deeper and deeper into the caverns — damp, mildewed surfaces; stale air; pyramids of light falling heavily on your weakening body — you begin to have what will become the worst migraine of your life. Then your hair falls off. Others in your group had taken a different path and are now suffering from beta burns. Still others, on a different scenic route, are vomiting every few steps, their nose bleeding. But obviously, all is well; you've taken the pills. 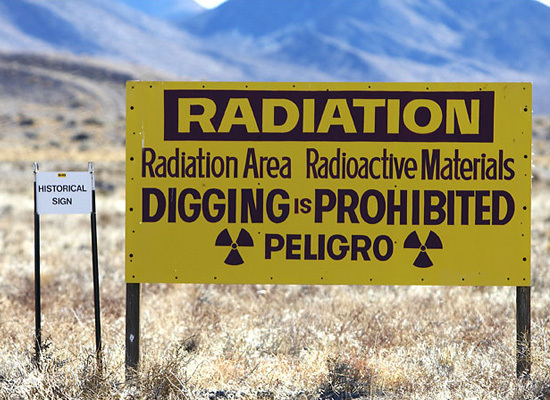 Radiation poisoning is as safe as a Disney ride or a stroll through the park. And as a souvenir you'll be given a wig at the gift shop. Personally, I think the only way to keep people away from a nuclear entombment site for 10,000 years is to impregnate the soil somehow with some kind of freaky disease, like ebola or rabies or chronic explosive diarrhea. No signs, no nothing - but if anyone comes near... they'll wish they hadn't. Any attempt at monumental signage will only attract future archaeologists and neo-Romantic tourists and CLUI tours. But if you give 'em ebola... they'll kindly go away. Bloody – but that's their problem. Bring a towel. More photos of the Titan Missle Silo over at Polar Inertia.